I’ve been invited to speak about Michael Nyman’s music in relation to Peter Greenaway’ films at the OGR-Officine Grandi Riparazioni, Torino. Here the announcement. I will intervene in duo with Domenico De Gaetano. Published on April 9, 2018 4:20 pm. I started a collaboration with the blog musicalettronica.it dedicate to electronic and contemporary music. Here and here the two parts of my first contribution, on algorithmic composition and automatic notation. Published on April 9, 2018 4:15 pm. On Jan 25th Marcelli Antúnez Roca will open his new multimedia installation -Eskizos- at Museo de Arte Contemporáneo de Madrid. I’m proud of having composed the music, and a bit sad not to be there. Published on January 24, 2018 9:46 pm. We performed Systema Naturae (the whole cycle of 4 pieces I co-wrote with Mauro Lanza) at Schaumbad, Graz, with wonderful Schallfeld Ensemble. In the occasion, we gave a couple of lecture at Uni and at IEM. Published on January 24, 2018 9:35 pm. We opened our new lab at the Department of Humanities (StudiUm) with a concert dedicated to improvisation, called Macchine all’impronta. Great friends musicians participated and we did two of my pieces, Annuario telefonico (with Federico Marchesano, Stefano Risso, Luca Morino and Francesco Bianchi) and Minute di cronometria (with Carlo Barbagallo, Dario Bruna, Amos Cappuccio playing my electromechanical percussion setup, special guest Simone Pappalardo and Jean-François Laporte). Impressive 360 video by Stefano Sburlati (do not open with Safari) here. Published on November 6, 2017 2:54 pm. Published on July 11, 2017 10:12 pm. I’m very proud that my essay on “Modes of sign production” has been included into the volume dedicated to Umberto Eco in the Library of living philosophers. Published on July 11, 2017 10:08 pm. 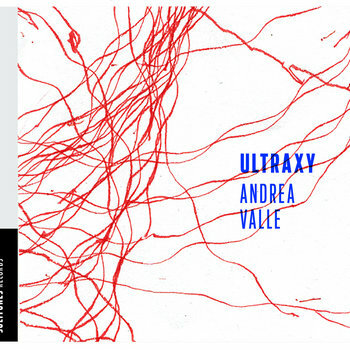 My new album Ultraxy, including works written for Marcel.li Antunez Roca’s Ultraorbism and Alsaxy is out for Solitunes. Every cover album of the CDs is different and generated algorithmic by a modified toy caterpillar. Check it here. Published on July 11, 2017 10:03 pm. 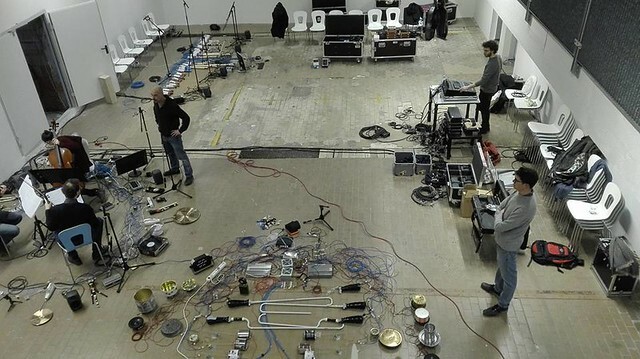 With Mauro Lanza we had the pleasure to play our whole cycle System naturae, including the three Regna plus the premiere of the final episode, Fossilia, at the Museum of Natural Sciences in Berlin on June 19 with the amazing ensemble mosaik. A huge but rewarding amount of work, surrounded by dinosaurs. Pics collected here. Published on July 11, 2017 9:57 pm. On May 4th,2017 I’m presenting a seminar on semiotic aspects of programming languages in the context of the seminar cycle by CIRCe of University of Torino, Semiotica dell’aspettualità. Published on May 3, 2017 10:34 pm.